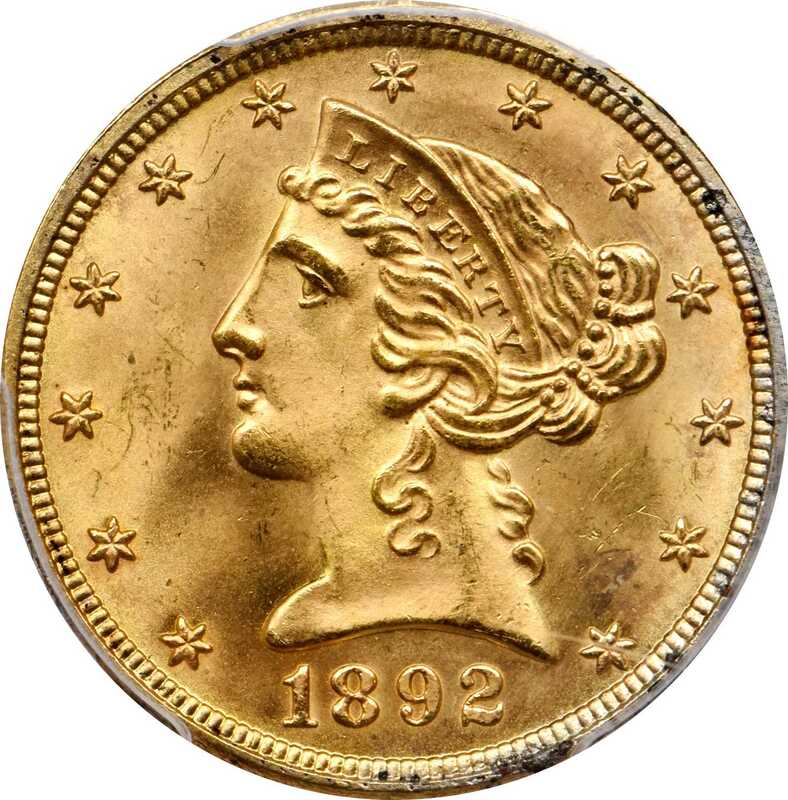 Lot:3055 1892 Liberty Head Half Eagle. MS-66+ (PCGS). 1892 Liberty Head Half Eagle. MS-66+ (PCGS).High Condition Census quality for this challenging and underrated 1890s half eagle series. This is a truly magnificent coin, both sides with silky smooth, virtually pristine mint luster. Further adorned with vivid rose-gold patina, razor sharp striking detail is also worthy of praise. From a mintage of 753,480 circulation strikes, the typical survivor of which grades no finer than MS-62. Given that the 1892 is relatively scarce even in Choice Mint State, the significance of this upper end Gem can hardly be overstated. Outstanding!